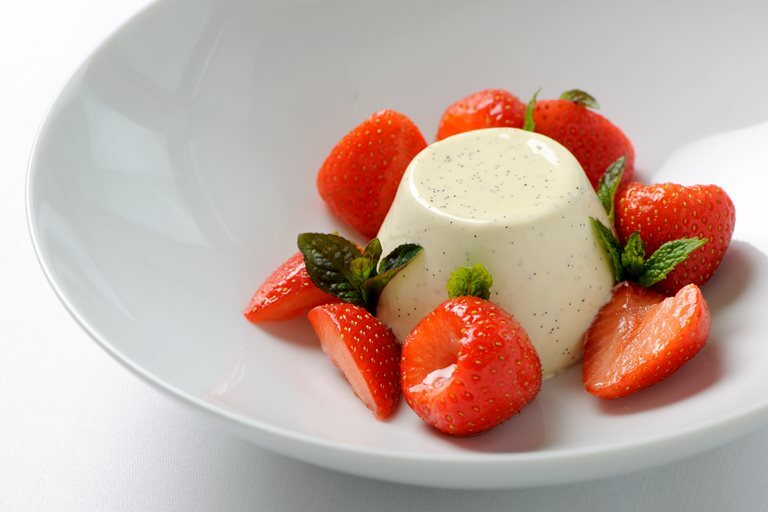 Robert Thompson's gorgeous vanilla panna cotta recipe ringed with fresh strawberries makes a tremendous summer's day dessert. Robert Thompson acknowledges panna cotta's Italian descent by serving the dish with Grappa, an Italian spirit made from grapes. Grappa is strong stuff, so use sparingly!